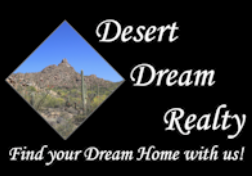 Carol Tours Homes | Desert Dream Realty Cave Creek | 480-252-8300 | Find Your Dream Home with Us! Imagine a Home on the runway in SkyRanch subdivision in Carefree! This home is located right on the SkyRanch runway on over an acre lot! It has a 60 ft deep climate-controlled block hangar‚ with multiple bathrooms‚ epoxy floor ready for cars‚ gliders‚ or an amazing man or woman cave! Also includes 4-car extended length garage, pavered driveway with access from Pima Rd. The large contemporary kitchen has a 6-burner gas cook top‚ walls of windows in the great room with beautiful mountain views. Large master suite, ensuite bath with jetted tub, snail shower, huge walk-in closet, media room/office, 1 bedroom w/exterior entrance plus a private 1 bedroom casita‚ perfect for multi generational living‚ maids quarters or guests. Property sold AS-IS. Buyer to verify everything material to buyer. If you would like more information on this Carefree home for sale or other Skyranch property, call Jennifer Patnode 480-324-6050 or Tammy Seymour 480-586-0377 dedicated, educated experienced top producing real estate agents with Desert Dream Realty NOW! If you would like more information on this Peoria home for sale or other Phoenix property, call Denice Bryan at 602-885-7530 dedicated, educated experienced top producing real estate agents with Desert Dream Realty NOW! See price and more information for 8551 N 112th Ave, Peoria, AZ 85345 at http://bit.ly/2Z7kTNE. If you would like more information on this Scottsdale condo for sale or other Sunscape Villas property, call Robert Cohen at 480-734-0154 dedicated, educated experienced top producing real estate agents with Desert Dream Realty NOW! Wow! Beautiful Desert Hills home with a giant detached RV garage, fully landscaped, and a pool! The home has been fully remodeled with superior craftsmanship & quality. The detached garage is 2025 sf (45'x45' block constructed) with an RV garage door and an upstairs office. The backyard has a sparkling pool and large grassy play area! The home features stone tile throughout, beautiful kitchen cabinets & quarts countertops, extra large fridge/freezer, central vac, the 5th bedroom can serve as a den (off living room) extra deep 3 car garage, huge backyard patio and upgrades throughout! If you're looking for beautiful move-in ready home with an RV garage, this is the one! If you would like more information on this North Phoenix home for sale or other Desert Hills Property, call Darren Forstie at 480-213-2201 dedicated, educated experienced top producing real estate agents with Desert Dream Realty NOW! So much to love! Huge gourmet kitchen with 36'' Gas Burner Stovetop, double wall ovens, 60'' built in Freezer/Refrigerator, double island with breakfast bar, granite countertops, knotty birch cabinetry and walk in pantry. And that is just the kitchen. Wide open airy home with 12' ceilings in great room, solid wood doors, four bedrooms, 3 full bathrooms and a powder room, a five car garage, RV gates and a fully paved driveway. The property boasts a large fenced yard. The owners are including plans for a detached fully permitted garage/workshop with 2 RV bays and a standard bay. This is a wonderful neighborhood with no HOA, large lots and great neighbors! New 2000 Septic Tank just installed to handle potential expansion of living space. If you would like more information on this North Phoenix home for sale or other Desert Hills property, call Robert Cohen at 480-734-0154 dedicated, educated experienced top producing real estate agents with Desert Dream Realty NOW! See price and more information for 1614 W Madock Rd, Phoenix, AZ 85086 at http://bit.ly/2Ui5EC0. North Phoenix hidden gem. This great property is on a 1.4 acre corner lot situated on a paved road. No HOA. This home has an attached guest home with 2 bedrooms and its own private entrance and patio. Great for multi-generation living, guests or maid quarters. The main home is approximately 3100 square feet. The kitchen boasts alder cabinets and includes an Island with sink, breakfast bar, built in microwave and oven, view out to the backyard and butler's pantry. Huge combined laundry area and office with built in desks and sewing table. The kitchen opens to the great room, with dining area and a wet bar, huge living room and ½ bath. There is a flex room with it's own private entrance currently used as a work out and game room. With lots of windows the home shows light and bright. The master bedroom has its own door to the backyard patio and an oversized beautiful master bathroom with walk in closet. 2 additional bedrooms with Jack and Jill bathroom. The 2nd home/casita is approximately 1100 square feet, has two masters with its own private patio, nice sized living room and kitchen. Outside there is an RV gate, shed, 4 car garage and ample room for all your toys and 4 legged friends. Views of the mountains, Arizona sunsets and starry nights. Fantastic location near the 17 freeway, The shops at Norterra and the Happy Valley Town Center, numerous trail heads and access to the walking path along the Arizona Canal, Enjoy country living city close. If you would like more information on this North Phoenix home for sale or other North Phoenix Property, call Kimberly Cocuzza at 480-616-1675 dedicated, educated experienced top producing real estate agents with Desert Dream Realty NOW! See price and more information for 1703 W Quartz Rock RD, Phoenix, AZ 85085 at http://bit.ly/2WqZA7y. If you would like more information on this Cave Creek home for sale or other horse property, call Jennifer Patnode 480-324-6050 or Tammy Seymour 480-586-0377 dedicated, educated experienced top producing real estate agents with Desert Dream Realty NOW! Spectacular Mountains surround this Timeless Territorial Home on over an acre in Desert Hills. Front courtyard, soaring ceilings, open floor plan, great room open to kitchen with granite counters, striking cabinetry, SS appliances, island/breakfast bar, dining area. Unique Travertine flooring throughout, plant shelves, bonus/game room, split master suite with patio access. Large walk-in closet, double sinks, vanity, separate garden tub/shower. Powder room, 4 additional bedrooms, full bath, large laundry with cabinets/sink. Great room sliding doors lead to full length patio, additional patio area, sparkling pool with double waterfall feature, spa & fantastic mountain views!! All this, plus 4 car garage, room for RV & all your toys, privacy with lots of room to roam. No HOA!! Enjoy sunrise/sunset/views!! Too many features to list here. Check out the pictures and come see this beautiful spacious home!! If you would like more information on this North Phoenix home for sale or other Desert Hills property, call Jennifer Patnode 480-324-6050 or Tammy Seymour 480-586-0377 dedicated, educated experienced top producing real estate agents with Desert Dream Realty NOW! See price and more information for 35030 N 51st St, Cave Creek, AZ 85331 at http://bit.ly/2HQBT4u. If you would like more information on this north Scottsdale lot for sale or other Scottsdale property, call Tammy Seymour at 480-586-0377 or Darren Forstie at 480-213-2201 dedicated, educated experienced top producing real estate agents with Desert Dream Realty NOW! See price and more information for 8604 E Via Dona Rd 04, Scottsdale, AZ 85266 at http://bit.ly/2UeCJyt. If you would like more information on this north Scottsdale land for sale or other Scottsdale property, call Tammy Seymour at 480-586-0377 or Darren Forstie at 480-213-2201 dedicated, educated experienced top producing real estate agents with Desert Dream Realty NOW! See price and more information for 8603 E Via Dona Rd 03, Scottsdale, AZ 85266 at http://bit.ly/2JGach7 . See price and more information for 8602 E Via Dona Rd 02, Scottsdale, AZ 85266 at http://bit.ly/2ur3gdw. New A/C! Mountain/City Light Views!! Beautiful 3 bedroom, 2 bath single-story home with split master suite, open floor plan on over half acre in Desert Hills Estates in far north Phoenix. Enjoy cozy nights by the gas fireplace in spacious great room, vaulted ceilings.. Don't miss the custom stained glass windows. Convenient kitchen with island, Stainless Steel appliances, gas range, lots of cabinets and counter space. Breakfast room or office off kitchen. Newer Low E windows and patio door. Tile throughout home. Huge 40' X 10' covered patio across back of home plus extended flagstone with fountain & firepit. Desert landscaping front and rear with citrus trees and shade to enjoy privacy in this easy to care for home. Insulated 3-car garage. New exterior paint in 2016. New water softener in 2017. See price and more information for 37822 N 1st St, Desert Hills, AZ 85086 at http://bit.ly/2UfcEPR. See price and more information for 38788 N Rising Sun Rd 49, Carefree, AZ 85377 at http://bit.ly/2uxpNoM. See price and more information for 36419 N Romping Rd 64, Carefree, AZ 85377 at http://bit.ly/2Ui0jdA.